Do you spend your Fridays playing online multiplayer games? Do you crave immersive, rich audio when listening to your favourite artists? Are your pockets flush with cash? Well, if you answered all three queries with a resounding yes, then you might fancy a pair of Audeze’s latest gaming headset, the Mobius. 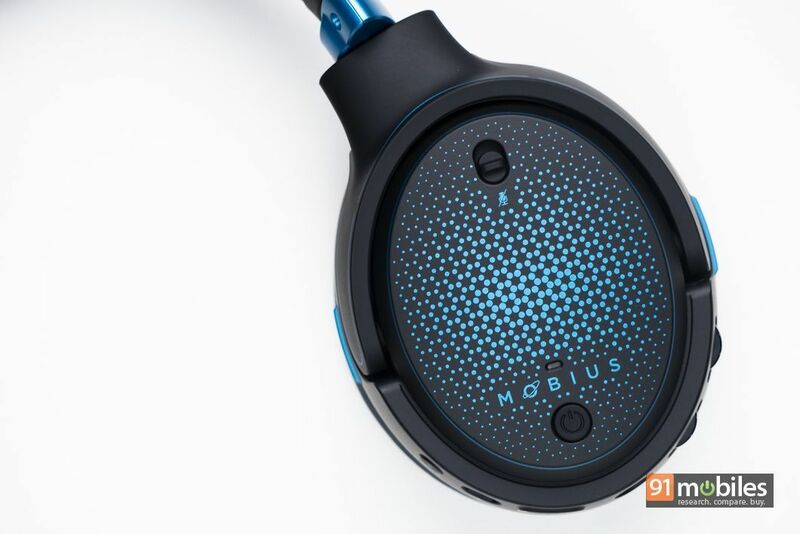 Launched recently, the Mobius marries immersive 3D gaming with the company’s proprietary transducer technology to give audiophile gamers the best of both worlds. But, for its asking price of Rs 30K, do they do enough to cast a shadow on offerings from SteelSeries, Hyper X, Logitech and other gaming peripheral manufacturers? After using the cans for over a week, I believe they do. Here’s why. 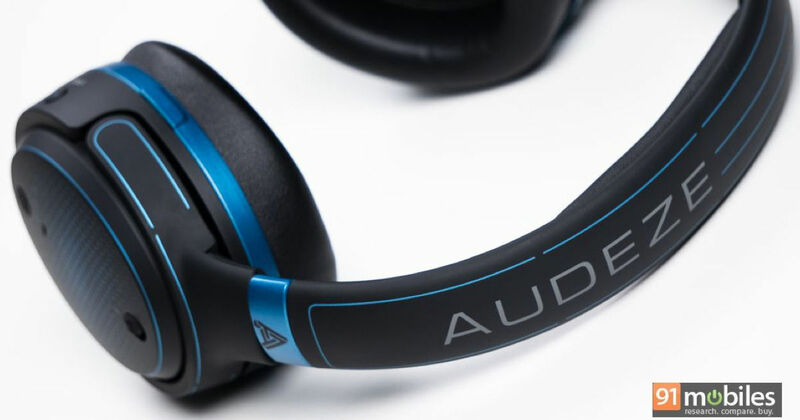 The Audeze Mobius has an unconvincing gamer-y design, which I feel works wonders for the headset’s overall aesthetics. While I’m all about fancy RGB lighting on my headphones, the Mobius facilitates more purposes than just gaming and can even be used to listen to high-fidelity tracks. Consequently, you will not get weird glances when you’re using the headset on your commute to work and so on. I will admit that the headphones are quite bulky and fairly cumbersome to wear when you’re out and about, but they don’t look funny. If you were wondering whether the added heft is due to the use of premium materials like metal, then you’d be mistaken. In fact, the Audeze Mobius has been constructed in entirety using plastic, which is topped off with a soft touch matte finish. 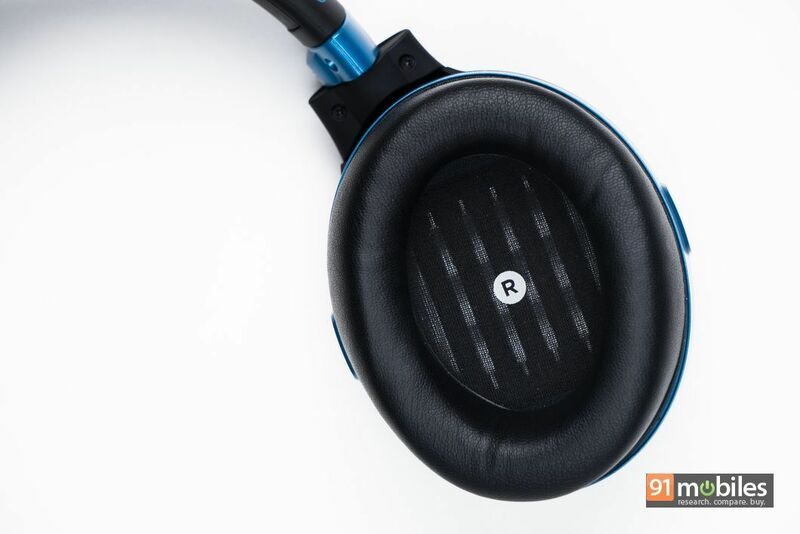 The weight of the headphones instead is accredited to the use of the company’s planar magnetic drivers (more on that later) as well as the oodles of 3D tech packed inside the unit’s chassis. For what it’s worth, the Audeze Mobius are supremely comfortable to wear, thanks in no small part to the unit’s comfy and well-padded ear cups which can envelope almost anyone’s ears. 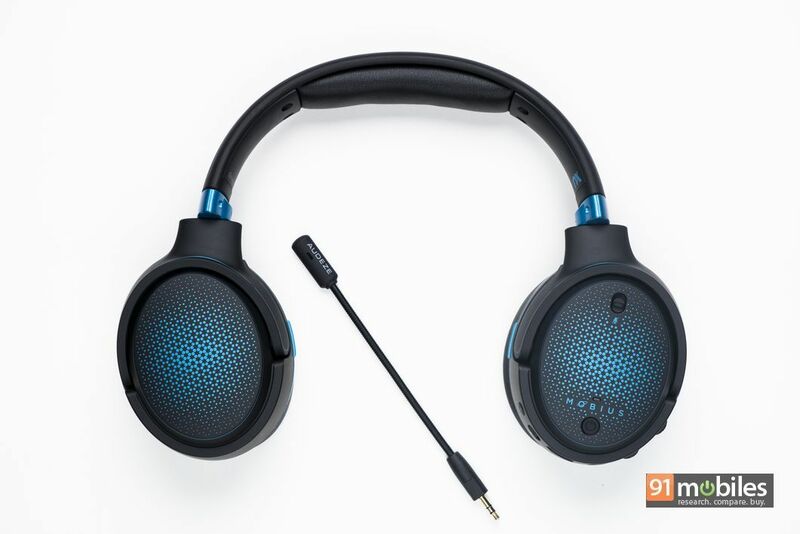 The padding is spacious enough so as to not suffocate your ears over long gaming sessions, and the unit’s excellent weight distribution evenly balances the heft over a user’s head. Speaking of which, the headband has been adequately padded as well, and I didn’t notice any wear-fatigue set in after using the headphones for over an hour. The clamping force is a bit too tight for my liking, but I got used to it in a matter of minutes. Moreover, if you’re worried about the headphones feeling cheap or flimsy, then allow me to clear the air. The pair has been constructed exceptionally well and feels quite robust too. The hinges don’t creak when you swivel the earcups and the headband is flexible, so you can twist and bend it to a certain degree. In fact, during my time with the headphones, I was as careless as I could get and didn’t baby the Mobius one bit. Yet, there are no scratches on the surface of the headphones and they work just as wonderfully as they did on day one. As I mentioned previously, the Mobius don’t look like a pair of gaming headphones… that is until you look at all the hardware buttons positioned below the left earcup. 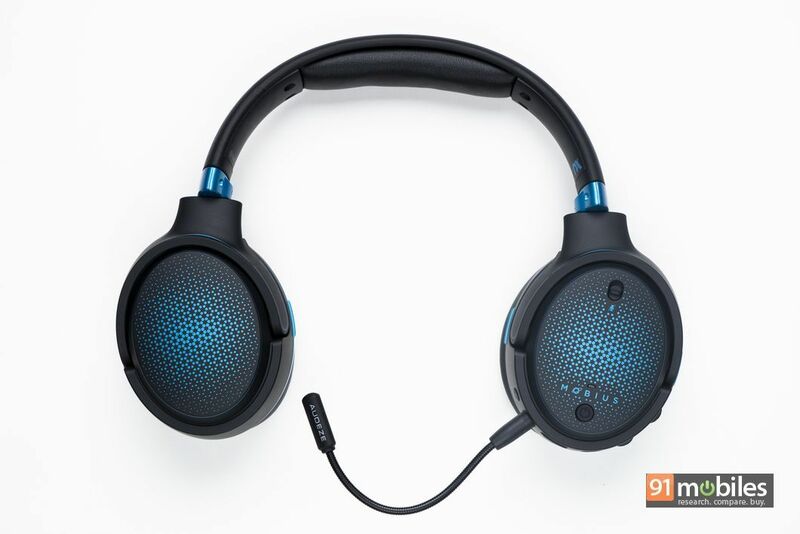 The unit ships with dedicated dials for mic and audio volumes, a toggle to turn on the 3D mode, a button to power on the headphones (which can also be used to pair the unit to compatible devices over Bluetooth) as well as switch to turn the microphone input on or off. What’s more, you can even press the dials to perform various other functions such as to skip between tracks when listening to music over Bluetooth. The Mobius ships with a USB Type-C port which can be used to charge the headphones or to connect the pair in wired mode. 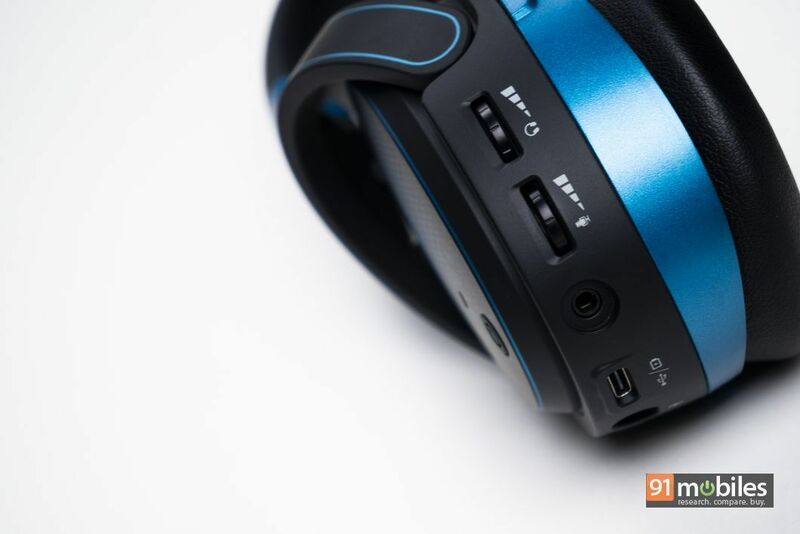 You’ll also get a dedicated AUX port, as well as another 3.5mm input which is used to connect the bundled detachable microphone to the headset. Before I even talk about the Mobius’ sound, let’s talk about the headphones’ ability to create an expansive 3D sound stage. To do so, Audeze has incorporated Waves Nx technology which with some hardware wizardry, is able to track the orientation of a user’s head relative to the source of the audio signal up to a thousand times per second. Therefore, if you tilt your head left or right, the source of the audio signal will also appear to shift as per your head’s position. Consequently, you’ll get the impression that the sound is being projected from different directions, as per your head’s positioning with respect to the audio source. This technology is commonly known as HRTF (short for Head Related Transfer Function), and it comes in particularly handy when playing FPS titles as you’ll be able to pinpoint exactly where the footsteps are coming from or where the fighting is taking place. The Mobius can trick your brain into identifying the exact direction of a sound, which you can then use to your advantage in competitive multiplayer titles like Counter Strike. To give you a better picture, here’s a video by YouTuber 3DHSS01 demoing the benefits of 3D headphone sound vs Stereo sound in gaming. As is apparent in the video, the Mobius can give you an accurate sonic representation of your in-game surroundings. I found this to be particularly effective in games like Fortnite as I could hear people who were trying to creep up on me. What’s more, pressing down and rotating the mic dial gives you different settings for various genres of games like RPG, FPS, Racing and so on. There are even dedicated settings which highlight the sound of footsteps which should help even the most novice of players to rank up in a game of their liking. Now, you can turn the 3D audio off by pressing down on the 3D button. 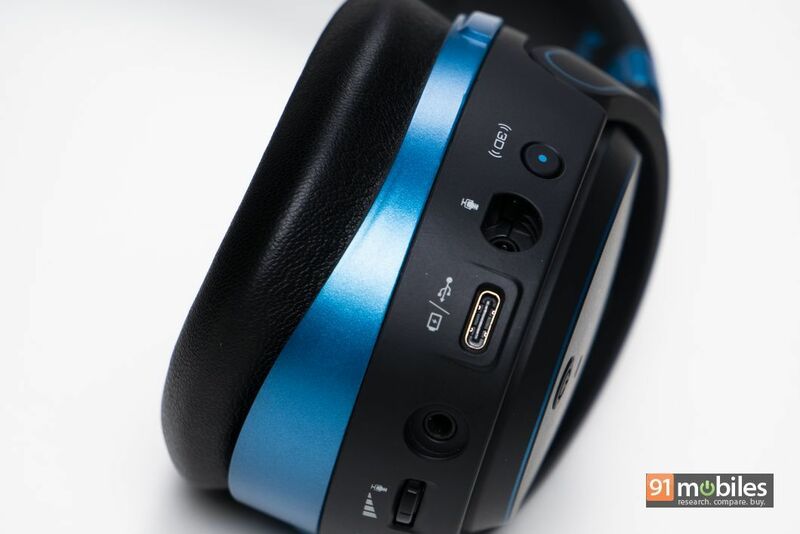 This will render the Mobius to function like any run-of-the-mill pair of headphones but honestly, where’s the fun in that? You’ll also get a detachable mic with the headphones, which relayed my voice clearly to my teammates on the other end. You can even bend the mic and adjust its distance from your mouth, or mute the mic input altogether by flicking a switch on the left ear cup. 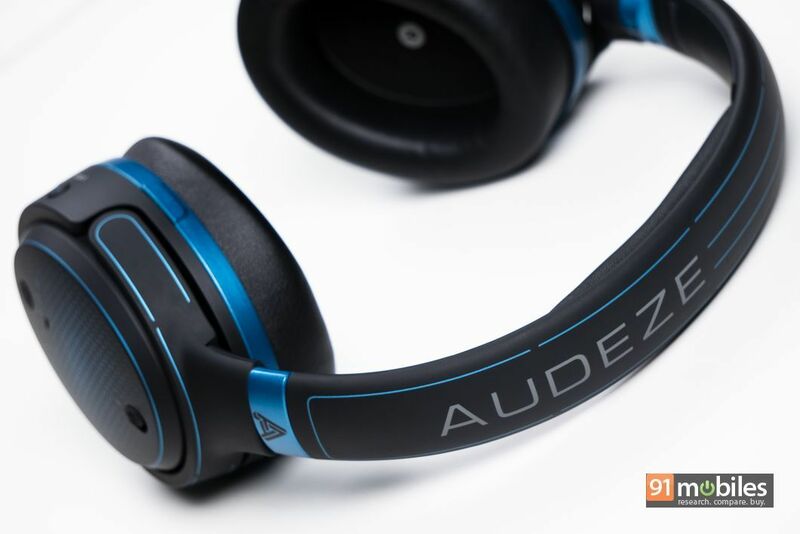 Audeze made a name for itself by introducing serious audiophiles to headphones which feature planar magnetic drivers. For the uninitiated, planar magnetic speaker technology is a huge departure from traditional dynamic drivers and offers numerous benefits. For starters, planar magnetic drivers don’t feature a cone attached to a coil and instead, have a printed circuit spread across the diaphragm which interacts with the magnetic field. Consequently, since the force from the magnetic field is distributed across the surface of the diaphragm, planar magnetic headphones offer better responsiveness and lower distortion. Technical mumbo jumbo aside, the Audeze Mobius sound fantastic and can even give similarly-priced headphones geared towards music a run for their money. 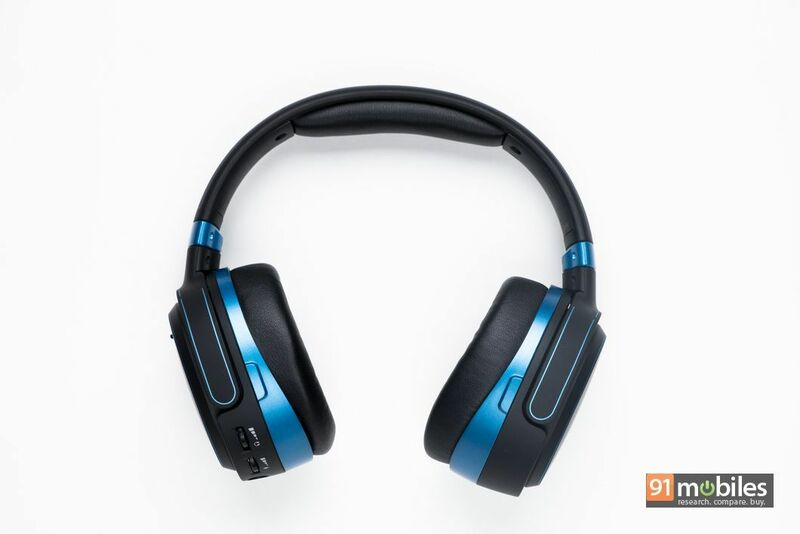 The headphones offer oodles of bass which has just the right amount of punch to it, thereby ensuring that the beats don’t meddle with other frequencies. A good example of the same is Kaleo’s Way down we go wherein, you’ll be able to make out the belting in the singer’s voice alongside the rising thumps from the kick drum. The mid-range sounds brilliant, and there’s not a note that goes by unnoticed (no pun intended). Tracks like Us by James Bay come alive when listening on the Audeze Mobius, and I often found myself lost in the music and singing out loud in my office (RIP my colleagues’ eardrums). 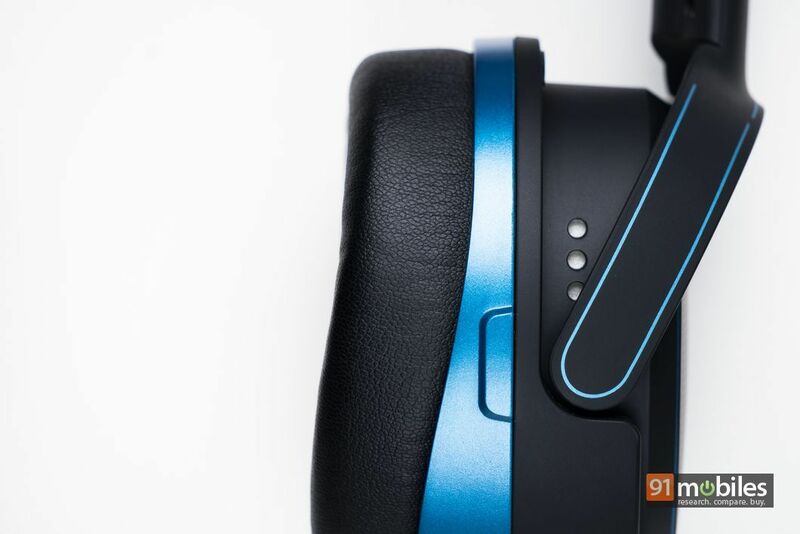 Rock ballads feel sparkly and energetic on the Mobius, and since the headphones offer a spacious sound stage, you’ll be able to distinctively identify all the instruments playing in the background. Honestly, I wouldn’t blame you if you used the Mobius to listen to music more than to game on your PC – the pair is just that good. As for the battery life, Audeze claims that the Mobius can function for 10 hours off a single charge but during my stint with the headphones, I was averaging close to seven hours. That said, I did have the 3D audio on at all times, which might’ve resulted in lower numbers. The Audeze Mobius retail for Rs 29,999 and for the price, offer a comfortable design, superb acoustics, accurate 3D head-tracking and great in-game performance. Provided money is no object, hard-core gamers who like to listen to music when not slaying enemies online should have the Mobius on top of their wishlists. Else, if you’d like something a bit more affordable, then there are a multitude of options from the likes of Logitech and SteelSeries available online. For what it’s worth, I think you should just bite the bullet and get yourself a pair of Audeze Mobius. It’s expensive but worth every penny you’ll spend on it.